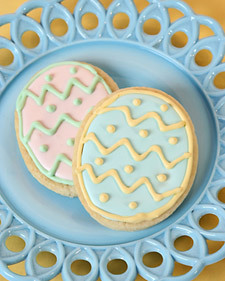 This year’s inspiration: Martha Stewart’s Sugar Cookies. I’m going to make ’em this year, dammit! Hmm. I think I’ve written myself into a corner here. How does one segue from religious martydom to Peeps?